The black AO-1XBH Audio Organizer with AH-2H Harness Kit from Portabrace is a large, self-contained case made for audio field mixers and recorders. It can be used in several environments for applications such as Electronic News Gathering (ENG), film shoots, wedding videos, and more. The Audio Organizer kit's bag offers plenty of storage options and also ample room for multiple wireless receivers. The main structure of this Portabrace bag is made from a hard plastic paneling covered in a durable padded Cordura fabric. This combination of materials provides a ridged frame that offers protection to the user's equipment. In addition, extra equipment can be stored in the large front pocket of the case. Both sides of the AO series bag have fully detachable side panels that allow easy access to all mixer inputs and outputs. Located on both exterior sides of the bag are transmitter hop pouches and also one large zippable flask holder. This bag is a suitable solution for large multiple receiver situations. Furthermore, the AH-2H Harness included with the kit is compact and works with all field audio mixers. The shoulder straps on the AH-2H are lightly padded and fully adjustable. 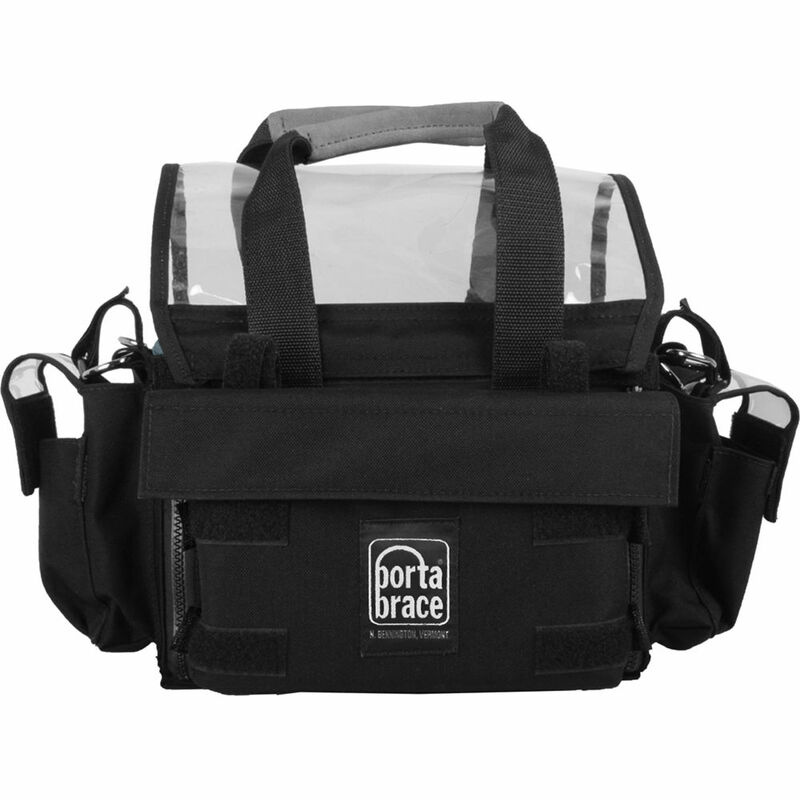 This harness also provides metal clips that attach securely to the field mixer bag. It can be utilized for audio mixers, recorders and also viewing monitors. Box Dimensions (LxWxH) 17.3 x 9.3 x 8.7"